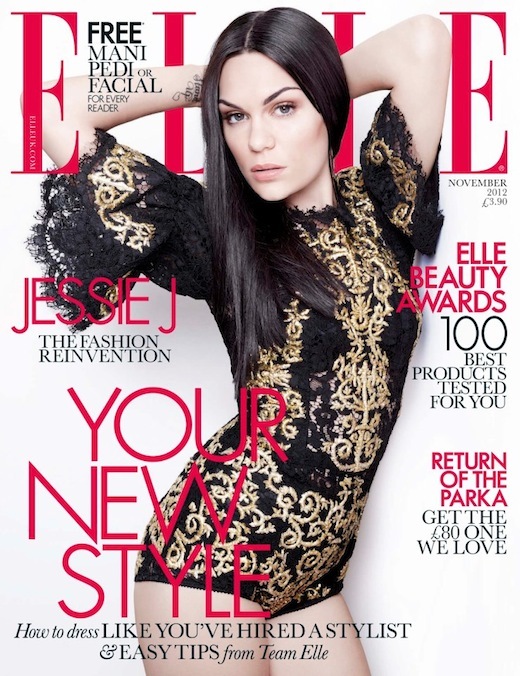 My favourite issue of Elle magazine went on sale yesterday – yep, it’s the Beauty Awards! Selected by the amazingly talented Lisa Eldridge (have I mentioned that I met her?! ), celeb hair stylist Luke Hersheson, cosmetic dermatologist Dr Sam Bunting and YouTuber Tanya Burr, better known as Pixi2woo, the issue lists the chosen top 100 beauty products of 2012. This year’s winning products in the make-up category include: Dior Addict Extreme lipstick, Rimmel London Volume Flash Scandal Eyes Mascara, Burberry Sheer Eye Shadow, Estee Lauder Invisible Fluid Make-up and Maybelline New York Dream Fresh 8-in-1 BB Cream. Top voted skincare products include Soap & Glory Make Yourself Youthful Super Serum, Shiseido Bio-performance Advance Super Revitalizing Cream, Olay Regenerist 3-point Treatment Cream, and YSL Forever Youth Liberator Cleansing Foam. Shamefully I haven’t tried a single item from that list! 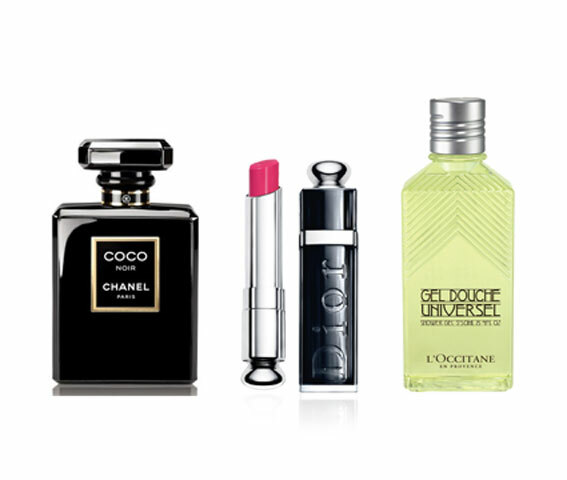 And the best new scents in 2012? I got a kick out of seeing my new favourite, Chanel’s Coco Noir, voted as best oriental perfume - check out my review here. Dior J’adore L’absolu was Reader’s Favourite Floral, Chloe L’eau De Chloe best citrus fragrance (must try this one!) and Giorgio Armani Armani Code Luna EDT was found best fashion fragrance. Another fluffy favourite, L’Occitane Ravissant Shower Gel, was voted best body wash while Creme de La Mer the Reparative Body was found best body moisturiser, and Garnier Ambre Solaire Golden Protect scooped the award for the best sun protection cream. And while we’re on the topic, I can’t wait for the results of the Beaut.ie Best in Beauty Awards, headed our way this week. Entirely reader voted – there were more than 80,000 votes this year – across hair, skin, body and makeup, these are a brilliant reflection of the products Irish women love and use. You’re bound to find one or two new bits to try out. Do you pay much attention to beauty awards, and have you tried any of the winning items above? Not really, I rarely use any beauty products, not because I don't want to, but because I'm a bit lazy :D But your blog really hooked me up! I do like to see what tops the list of beauty awards. It's a great way of trying new products too! Dying to pick up a copy of this to see which products came out on top. Now how do I get to meet her??! lol! I love beauty awards. I think it's just good fun for any beauty enthusiast. My local Superquinn only have the ginormous copy so I'm going to pick up the smaller one from somewhere else (hate huge sized magazines). And yes, the magazine ones are kind of sponsored (ahem.) but still are good fun. Can't wait for the beaut.ie awards! Oooooh, save me a copy?? I must try the Dior lipstick and how cool that Maybelline won for the bb cream! I love that it's a good mixture of high end and lower end products. The only thing I've tried there is the Estee Lauder Invisible Fluid which I totally agree with, I love it! Really looking forward to the beaut.ie list, it's always a really interesting read! I would love to try Coco Chanel Noir! Love reading your blog - it helps me to stay up-to-date with the latest beauty products. I love Coco Noir. I have tried a few of these products and will definitely be trying more of them. I love Lisa Eldridge! Her tutorials are so amazing. Love the Nior ... and I ve heard lots of good things about the Burberry line. I'll look forward to reviewing the products in more detail! I always appreciate these type of issues, there are so many great products out there and you never know which one to try, at least we have Elle to sift them out. Oooo this is my one of my favorite magazines as well! Elle in the US always has great topics. Did you like the Coco Noir? I am intrigued! I am using the BB cream by Maybelline, and I find it spectacular. This summer I used Ambre Solaire Sun protection and it worked awesomely. I think the winners list is truthful enough! !